Fun retro fabrics in Hooter Hiders, made by Bebe Au Lait. 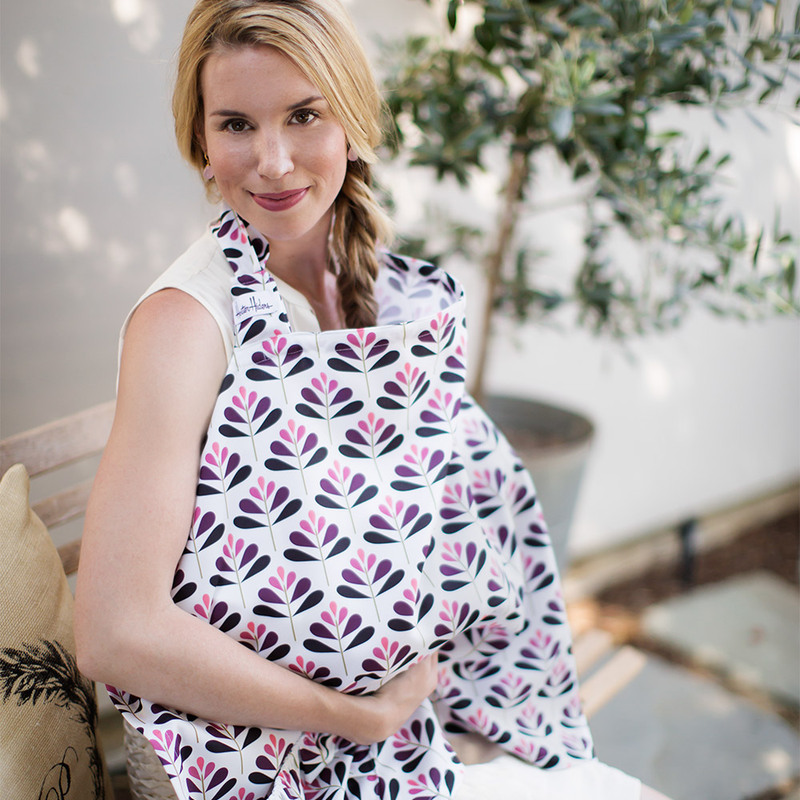 Woven cotton nursing cover features rigid neckline to hold fabric away so you can see your baby while nursing or napping. 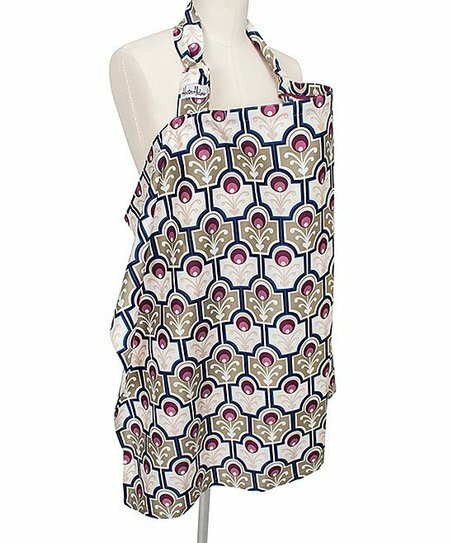 Ruffled edge or pocket styles fold compactly into clothe bag. Makes a nice gift choice. Same Style as one known as "Bebe Au Lait"
My friend introduced me to this wonderful product right before I had my third baby. I wish I had it for my other two! I can still see the baby while his breastfeeding session is being hidden from everyone else! The lightweight material won't shuffle my baby. I just got it and already don't know how I've nursed without it. It makes public feedings discreet. A must have! These cover's are a life saver! Not only does it give you privacy while feeding your little one but it stay's securely fastened! Unlike a blanket which is constantly coming off or being tugged off for the more active handed babies... A must have for all nursing mom's. Nice color and soft fabric. Big enough to cover my Freestyle pump and bottles. Rigid neckline allows me to easily assemble the parts underneath.